Mini pendant lights are perfect for when you want some added ambient or task lighting, especially if you have limited space or want a unique piece to make a statement with. They come in a wide variety of styles and sizes. Here are some that you may want to consider using to boost not just the illumination but the character in your home. This Americana-inspired mini features a metal shade and classic shape full of curves. It straddles the line between modern and retro with a look that is both classic and innovative. Hanging on an adjustable suspension rod, the silver fixtures 100 watt incandescent bulb brings plenty of light for whatever task you need it to illuminate. 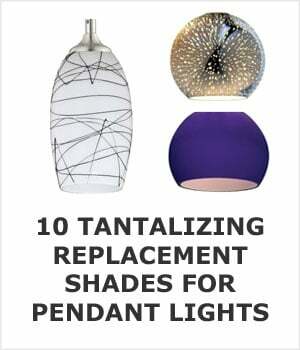 It’s a great light for kitchens and bathrooms, especially if you’re looking for something different from traditional glass shade pendants. Get the specs on the Quoizel website. 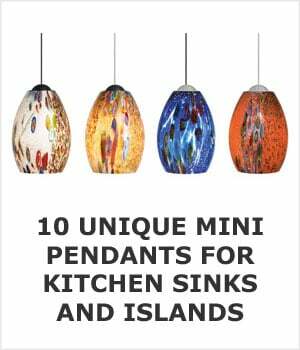 Mouth-blown colored glass gives every one of these mini light fixtures a truly unique look that adds a burst of color to your kitchen, bathroom, or living room. It comes in a variety of colored glass shades set on a silver fixture and comes with a 50 watt halogen bulb. 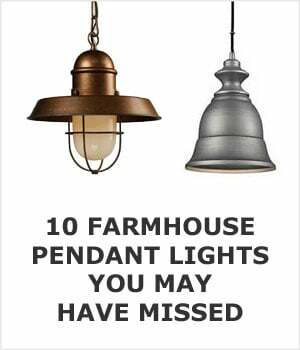 It’s not the brightest pendant light of its size, but if you want ambient lighting with plenty of character, this could be perfect for your home. Here’s a link to it on LBL’s website but have a look around at their other fixtures. They have an amazing eclectic collection. You can hang multiple miniature over an island or just one over a sink or table. The 10” x 7” x 7” dimensions of this miniature pendant’s shade make it perfect for tucking it into a small space like above your kitchen sink or in a cozy corner of your living room. The seeded glass shade is a little bit old school, giving this option some antique charm that would be at home in a Victorian schoolhouse or a suburban kitchen. It’s a classic style pendant with a bell-shaped shade and plenty of light (LED or Incandescent 60 watt bulb) that’s sure to blend nicely with your decor, wherever you use it. Sold by Wayfair. If you have a southern style home or want something with a tropical flair, this cute miniature pendant is perfect. If its shape looks familiar, it’s because it’s modeled after the humble pineapple, complete with gently dimpled clear glass (see more clear glass ones here) and a leafy brass base. It’s got a ‘resort’ feel to it that’s fun and friendly, but it also casts some serious light wherever you need it. At only 5 inches wide, this whimsical gem can be used alone in a small space or used in rows to cover more area. Visit the Hinkley website to see where it’s available locally. Seeded glass and an antique metal finish give this serious little light some unique ‘Old World’ charm, but it’s the 100 watt bulb (CFL or Incandescent can be used) that packs a powerful punch. The oil rubbed bronze finish of this small pendant light contrasts beautifully with the ‘water drop’ effect of the glass and the result is a pretty, punchy mini pendant that will look as good over your kitchen island as it will over your home bar. This light can be used with a dimmer and hangs on an adjustable rod for stability. Made and sold by Birch Lane. If you’re looking for a light with an industrial feel to it, this mini may be perfect for you. 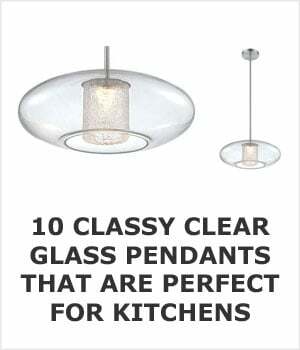 Its no-nonsense elongated glass shade and cool metal fixture work well in a vintage decor or a modern one. Paired with a 60 watt incandescent/filament bulb, this light looks like something that might be used to illuminate a mad scientist’s lab or a chef’s kitchen. It’s got plenty of character packed into its small size and can be adjusted to hang at whatever height you need. It’s available in a brushed steel finish too. With a diameter of 10 inches, this unique globe pendant is larger than some mini pendant lights, but it’s still small enough to be used in multiples without overcrowding your ceiling space. The stunning metal ring globe shade is part artwork, part practical task light. The steel ring structure of the globe and its Edison bulb interior create a look that is both modern and industrial. Use it alone to make a statement, or hang a row of these bar-mounted beauties above a long counter or kitchen island. Sold in both oil rubbed bronze and an interesting antique silver. For some reason this exact same fixture is sold under the name Prange or Wallaston, depending on what website you’re on. I recommend searching up both names to try to get it for the lowest price. The diffused light from the Eileen is perfect for ambient lighting. The umber etched glass shade dangles from a 36” long stem that comes in a bronze, brushed nickel, or chrome finish. The Energy-Star certified LED bulb costs nearly nothing to run. It’s gorgeous when you use it alone, but its small size means you can easily place a row over your kitchen island for even more gorgeous lighting. Kichler has a huge line of matching fixtures here at this link. 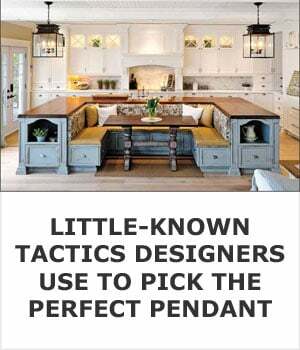 At 18 inches wide, this miniature pendant is on the larger side, but it’s still small enough to cozy up your kitchen sink or add a touch of romance to your corner nook. 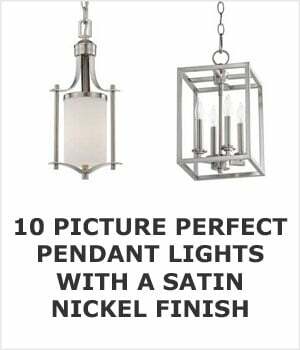 The tiffany glass shade is uniquely beautiful in the way that only that style can be and the bronze finish chain allows for plenty of adjustability wherever you hang it. It uses a 60 watt CFL or incandescent bulb and is a sturdy little light that really brightens up any space beautifully. Wayfair looks to be the official retailer. The cage-like shade of this modern mini pendant gives it an almost whimsical look. Suspended from an adjustable chain, this cylindrical steel cage pendant light casts plenty of light wherever you need it. Paired with a 60 watt Edison bulb, this quirky light is perfect for livening up your dining room or adding lots of ambient light to your living room. 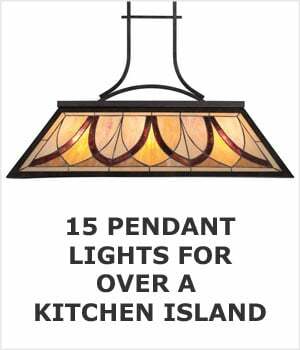 At under 8 inches wide, this pendant can easily be paired up into multiples to provide adequate coverage for your kitchen countertops and island, too. It’s made and sold by Wayfair.